Daphne Habibis is an Associate Professor of sociology in the School of Social Sciences, and former Director of the Housing and Community Research Unit at the University of Tasmania. Her career is concerned with understanding and addressing social inequality. Her current work is concerned with race relations between Indigenous and non-Indigenous people and with Indigenous housing, especially as it impacts on family violence. She has over 60 publications and is co-author of Social Inequality in Australia: Discourses, Realities and Futures as well as Australia's best-selling sociology text book. Projects include examining Commonwealth and state governments efforts to improve housing in remote Indigenous communities and an ARC Linkage grant that asks Aboriginal people for their views on settler Australian people and culture. With Dr Hookway and Dr Vreugdenhil, she has also been developing a research agenda on kindness as an ethical emotion that extends beyond the interpersonal to institutional domains. In recent years her work has been policy focused, especially in relation to remote Indigenous housing where she has explored the intersection between Aboriginal aspirations for self-determination and the state's agenda of active citizenship for Aboriginal people. Daphne completed her BSc and PhD degrees in sociology at the London School of Economics. From 2013 to 2017 she was the Director of the Housing and Community Research Unit. This involved developing the research profile and capacity of housing and urban research at the University. She is a highly active researcher in both applied and pure research in sociology and urban studies and has contributed to the School's top ranking for sociology in the 2015 last ARC round of Excellence in Research Australia. In the last three years she has attracted over $1M in category 1 grant funding, including leading two major projects. She was the leader of the Institute for the Study of Social Change's flagship project Building Sustainable Communities which addresses the challenge of developing and implementing policies and strategies that will sustain communities in places experiencing deindustrialisation. 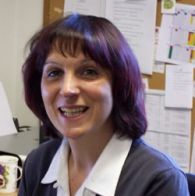 Daphne has extensive experience in managing multi-disciplinary, mixed methods research teams, as well as large research grants and ensures project deliverables are on budget and in time. She has held senior administrative positions including Deputy Head and Head of Discipline. She was the coordinator of TASA's Indigenous Studies Thematic Group and convened the 2015 Australasian Housing Research Conference. The UTAS research theme of Creativity, Culture and Society is closely aligned with Daphne's research in its concern with how we can create flourishing communities and improve the well-being of the people within them. Her work centres on questions of how the state engagement with its citizens in ways that reduce social exclusion, and on how the corrosive impacts of individualism neo-liberalism can be resisted and reduced. In the field of Indigenous studies, contemporary research has been largely policy driven. This provides essential knowledge about the economic and social conditions of Australian Aboriginal populations, but there is a need to progress these accounts by linking empirical analysis with social theory in ways that (a) demonstrate how these conditions are shaped by the intersection between Indigenous and Euro-Australian cultures (b) progress Indigenous social theory through the development of new concepts and paradigms that can be used to develop and modify existing policy interventions. Drawing on critical race theory, and Honneth and Fraser's work on recognition, Daphne's research has contributed to both these spheres. Daphne's co-authored monograh, Social Inequality in Australia challenges individualising explanations of disadvantage by combining statistical analysis with theoretical explanations of social exclusion, focusing especially on Aboriginal peoples. Secondary analysis of large datasets show how Aboriginal disadvantage is clustered across multiple determinants of health and well-being. This is theorized by combining Foucault’s concept of discourse with Bourdieu’s concept of symbolic violence to explain how these structural and cultural variables impact on Aboriginal subjectivities by creating feelings of self-blame sand disempowerment, thereby reproducing Aboriginal disadvantage. Current and past external research collaborations include Dr Kylie Valentine, Dr Kyllie Cripps and Dr Chris Martin at the University of New South Wales, Assoc Prof Catriona Elder, at the University of Sydney, Prof Paul Memmott and Rhonda Phillips at the Aboriginal Economic Research Centre at the University of Queensland, Dr Howard-Wagner at the University of Sydney, Prof Peter Phibbs at the University of Sydney, Dr Christina Birdsall-Jones at Curtin University, Prof Paul Flatau at the University of Western Australia, Dr Angela Spinney at Swinburne University of Technology and Dr Ilan Wizel at Monash University. Collaborations within the University of Tasmania include Prof Maggie Walter, Dr Nicholas Hookway and Dr Anthea Vreugdenhil. Territory and South Australia, enabling ongoing research partnerships. This has involved work with Indigenous and mainstream community organisations in areas including Fitzroy Crossing, Coober Pedy, Kununurra, Upper Gascoyne and Darwin. Telling it like it is: Aboriginal perspectives on race and race relations. ARC Linkage. The aim of this project is to gain insights into the diversity and complexity of Aboriginal lives in the Greater Darwin area. Central to the research is the lived account of Aboriginal views on race relations. This provides a foundation for repositioning the normativity of Euro-Australian culture and improving service delivery. The findings will provide a basis for improving race relations in Darwin and inform how this can be achieved in other areas of Australia. In August 2016, the first findings from this research partnership between UTAS and Larrakia Nation Aboriginal Corporation have been released. This ARC Linkage grant led by Assoc Prof Daphne Habibis, Penny Taylor, Prof Maggie Walter and Assoc Prof Catriona Elder is the first study to undertake comprehensive research on how Aboriginal people view settler Australians and settler Australian culture. Little is known of the housing choices made by Indigenous victims and perpetrators of violence in the aftermath of family violence. With reforms to the family violence service sector encouraging victims to remain in the home, measuring the efficacy of such an approach in an Indigenous context is timely. This project aims to contribute to understandings of how housing policy and housing assistance interacts with other policy settings, and its impact on the outcomes for Indigenous individuals, families and communities in the aftermath of domestic and family violence. The project is funded by the Australian Housing and Urban Research Institute and led by Dr Kyllie Cripps, UNSW. Inquiry into integrated housing support for vulnerable families The project aims to contribute to understandings of how housing policy and housing assistance interacts with other policy settings, and its impact on the outcomes for Indigenous individuals, families and communities in the aftermath of domestic and family violence. The project is funded the Australian Housing and Urban Research Institute and led by Dr Kylie Valentine, UNSW. Family impacts of social housing legal responses to occupier misconduct This project asks whether social landlords’ legal responses to occupier misconduct appropriately address women affected by domestic and family violence and other especially vulnerable households. The aim is to provide evidence for future developments of social housing regulatory expectations, good practice standards and staff training programs. The project is funded the Australian Housing and Urban Research Institute and led by Dr Chris Martin, UNSW. Daphne is a reviewer for a number of journals including The Journal of Sociology, Urban Policy and Research, Housing Theory and Society, Housing Studies, Health Sociology Review, Higher Education Research and Development Society of Australasia. Little is known of the housing choices made by Indigenous victims and perpetrators of violence in the aftermath of family violence. With reforms to the family violence service sector encouraging victims to remain in the home, measuring the efficacy of such an approach in an Indigenous context is timely. The SRP will document the use of legal proceedings by Australian social housing providers against tenants where there has been misconduct by a household member, and consider whether laws, policies and practices make appropriate provision in relation to women, children, Indigenous families and families with alcohol or other drug issues. This Inquiry focuses on the provision of integrated housing support for families, including those affected by domestic and family violence. It will provide significant new knowledge on the gendered nature of housing insecurity, housing pathways, and transition points at which culturally safe and holistic service responses are effective. The proposed research will generate evidence about: What attracts overseas and interstate migrants to move to Tasmania. The barriers in making the decision to move to Tasmania from interstate and overseas. The factors influencing their decision to stay in Tasmania. The factors influencing their decision to leave Tasmania. To better understand the international student and career pathway experience in Tasmania and barriers to international students remaining in Tasmania post-graduation, the research will involve: Identifying factors that influence international student participation in the Tasmanian education system; Documenting experiences of international students with a particular focus on the challenges they face during their education; Considering the aspirations of international students for employment after completion of their studies; Determining the current employment outcomes for international students in Tasmania; Identifying factors that impact international students who wish to stay in Tasmania, securing employment and residency in the State. Centacare Evolve Housing requires the University of Tasmania to develop suitable social return on investment framework to calculate the social impact of transferring management of public housing stock to a community sector organisation. The issue of how to build community engagement and promote pathways to economic and social inclu sion for the most excluded social groups is one of the most vexed areas of social policy. This project addresses this concern through an innovative approach designed to avoid 'benevolent othering' in areas where placebased stigma creates division and social exclusion that extend to within the neighbourhood itself. The project combines volunteering with participatory community-based action research to develop a system map that extends asset-based community development approaches by identifying how networks .operate as enablers and constraintsthrough relationships of power, trust, conflict and collaboration. Attract new postgraduate students to housing and urban studies, to develop the quantity and quality of the research talent in the AHURI network and to maintain and improve and standard of the AHURI National Housing Research Program. This project examines how a changing mix of government and non-government, direct and indirect, funding influences service provision and outcomes of services offering homelessness support to Indigenous Australians. This project will offer contextualised analysis of optimal arrangements for cost-effectiveness and tenant and community outcomes. This project will develop a conceptual and policy framework for more individualised approaches to housing assistance in Australia informed by international experience. Acknowledging different institutional, governance and policy contexts, the project will distil key learning, policy opportunities and challenges for reforming the housing assistance system in Australia. This project provides insights into the diversity and complexity of Aboriginal lives in the Greater Darwin area. Central to the research is the lived accounts of Aboriginal views on race relations. This will provide a foundation for repositioning the normativity of Euro-Australian culture and improving service delivery. The findings will be used as a basis for improving racial harmony in Darwin and as a model for achieving this in other areas of Australia. This project will investigate the experiences of social housing practitioners providing tenancy management services to Aboriginal tenants. PhD Health Informatics, Discourses and the Use of Personal Health Information: Which piper, which tune and who pays?